Do not place your wallet or telephone on back trouser pockets or any external pockets (jacket, coat, etc.). Always use internal pockets. Also check that your bag or pockets in your backpack are securely closed. Hold your bag by placing it close to you and always making sure it is visible. Do not place all of your personal effects in the same place. For instance, separate your cash from your credit cards, and likewise for your identity documents. It is recommended that you leave your passport in a safe place and move around with a photocopy of your passport. Always scan your official documents (passport, credit cards, medical health card) and keep these on your professional/personal computer and copy them on a USB key which you carry around with you. Do not take any large notes out of your wallet or any amount more than that which is to be paid, even if you are in an establishment which is “top of the range” or luxury and even if, when undertaking the conversion rate of your home country, this amount seems to be derisory. Always use small denominations so as not to create any temptation and/or jealousy which may draw attention to you. Avoid withdrawing money from ATMs in the street and try to use those within banks, which are more discrete and secure. Immediately put all money in your wallet and never remain in a public location with visible cash. When using public transport, if you fall victim to a pickpocket, signal the alarm if the thief is still in your carriage. Pickpockets often use diversions so as to be able to steal a wallet. Mistrust any unusual behaviour by a stranger. Children are particularly clever in turning away your attention, by creating compassion, for instance, so as to then be able to steal a wallet. In addition to wallets and purses, mobile telephones are also easy to steal, please make sure that you store these in a place which is easy for you to reach, but not for a pickpocket. If you are on a café terrace, avoid placing your phone on the table. 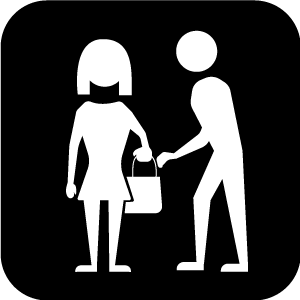 If you should fall victim to a pickpocket in the street, call for help and then call the police or try to locate a policemen in close proximity. 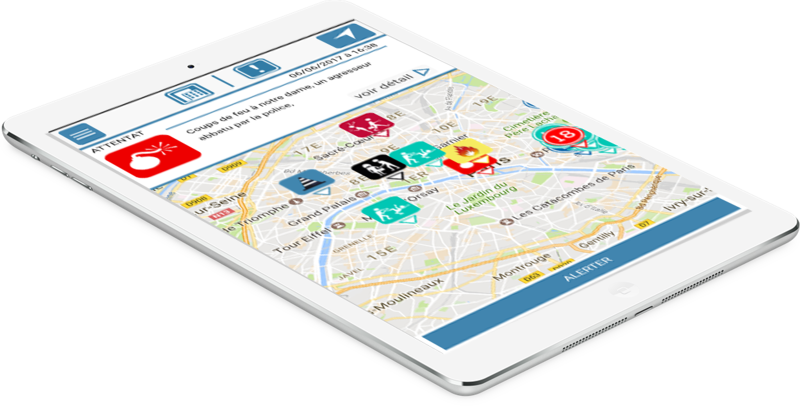 The closest police stations around you are indicated on the app.